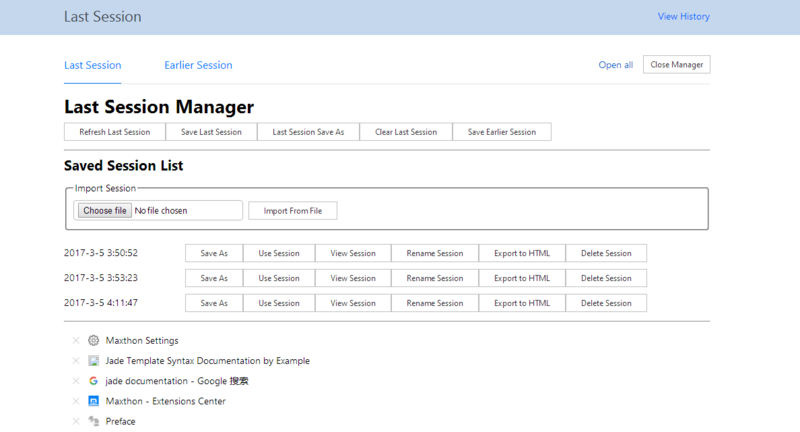 An extension for managing Last Session, with functionality to save/backup/import/export last session data. 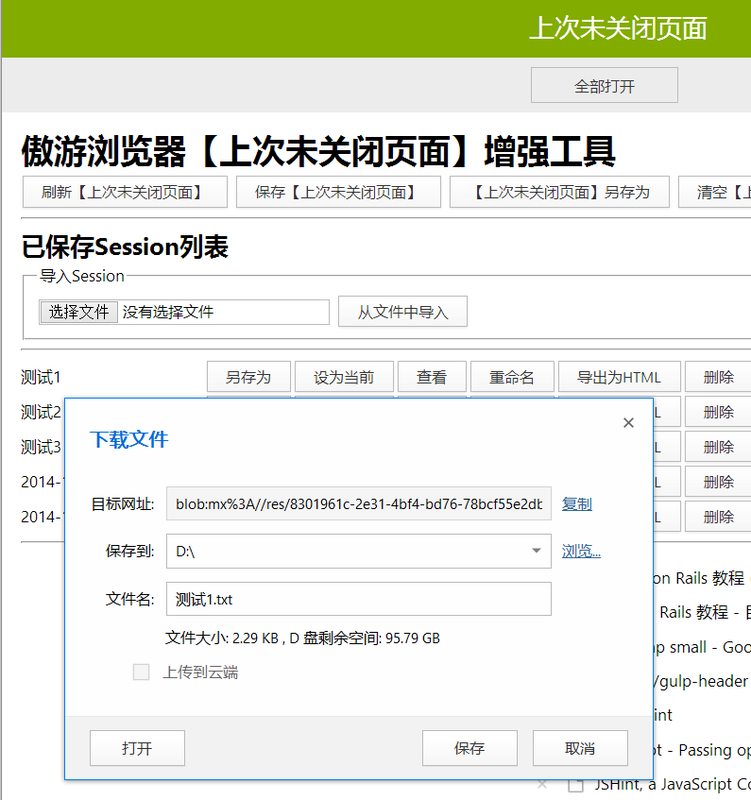 Note: This extension only supports Maxthon v4.9.x branch and Maxthon 5 higher than 5.0.1.1700. * If current tab is not Last Session, it will activate the Last Session tab, or open a new Last Session tab if it does not exist.